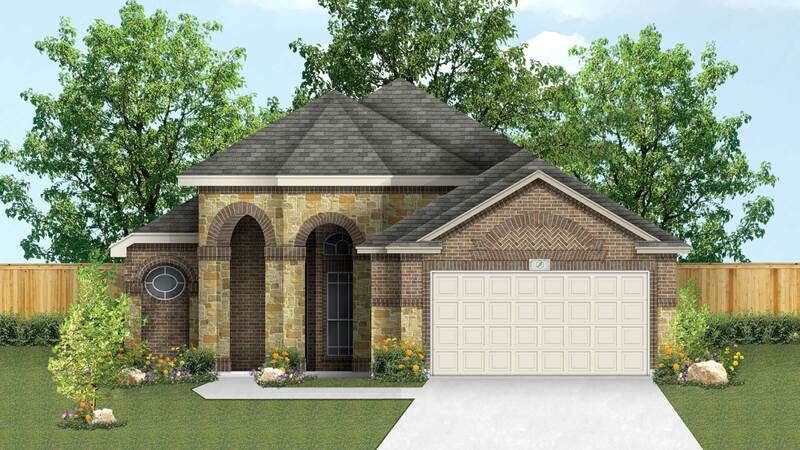 This Pride Series home makes a strong first impression with a large porch that welcomes you into a beautiful entry foyer with a domed ceiling. A huge open kitchen/living/dining area that is perfect for entertaining and large get-together leads to a large outdoor covered patio. A spacious master suite features a stunning walk-in shower (with an option for shower and garden tub combo), a large master closet, a large corner vanity with his and her sinks and cabinets. A flex room with lovely architectural details is located just off the grand foyer and can serve as a formal living room, formal dining room or office/den. The additional bedrooms both feature walk-in closets.